Over the past 250 hundred years, the coal mining industry has witnessed significant changes to both its mining techniques and the equipment used throughout the mining process. 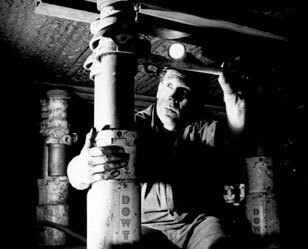 Changes evolved through a need to make a safer underground environment for the thousands of miners employed in Cape Breton’s coal industry. The dawn of mechanical haulage following years of utilizing “pit ponies”, the development of underground communications and the design of safer lighting are only some of the noteworthy improvements to mining equipment. This historical overview will provide information on the advancement of mining equipment and techniques since the early days of mining.